We take our ingredients very seriously at MacDuff's Public House. This featured dish incorporates flavors of mozzarella, goat cheese, truffle oil and mushrooms. It pairs great with a glass of wine or a cold beer on a nice day. Inspired by the dream to blend an authentic Scottish pub atmosphere in the heart of the Greenwich, MacDuff’s Public House is a gathering place for locals and visitors to enjoy traditional pub fare made only from the highest-quality ingredients in a fun and friendly environment. The idea began here in Connecticut, where the Sievwright brothers, originally from Aberdeen, Scotland, opened the original MacDuff’s in 2005. "The place is so welcoming from the outdoor seating to the dark wood furniture. To call this food here 'Pub food' or 'bar food' is truly under rated. All the food we had today for lunch was wonderful. And all the plates were generous portions. [MacDuff’s] was highly recommended by the Lake Tahoe Vacation Resort concierge. It was our best food stop during our week at Tahoe, hands down! I wish we had discovered this spot sooner during our trip because we would have come here a few more times." "Great environment was the first thing we noticed! It's so cozy and friendly with awesome staff who work as a team. I tried their reuben sandwich and it was seriously the best corned beef I ever tasted. 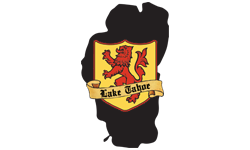 Our bread pudding was to die for and we plan on coming back on our next trip to Lake Tahoe." "Best find in Tahoe! Insane corned beef and cabbage-super moist and soft corned beef, cabbage roasted perfectly, mashed potatoes complemented so well. Must have! The Fish and Chips had a light batter, huge chunks of flaky fish. Loved the tarter sauce and coleslaw. The Clam Chowder rivals the best I've had in Pismo. The Truffle Mac and cheese was simply AMAZING! If you are a Mac and cheese lover, you will LOVE it."